Blurb - This story is of a boy (Neel) who was betrayed by life since his birth. He was like a curse to his family. Gradually as he started growing he found his life in deep mess. He wanted to analyse what was wrong with him. His fate, or what destiny has planned for him. In the early phase of his life he was very cheerful but as he grew he started remaining sad all the time. He had a strong urge to show the world his potential but lacked somewhere in his determination The story actually begins when he was left alone after certain debacles in his life with no one to share his feelings, his failure in the early phase of life, failure in love, failure in achieving anything he thought, but as they say if you want something from the core of your heart even the universe conspires in helping you to achieve it. Ultimately he succeeds in life after a great struggle. "Success is Not a Matter of Being the Best and Winning the Race, Its a Matter of Handling the Worst and Finishing the Race. Review - I have to confess that the book cover and the name of the novel are really appealing. These are the two things which attracts us towards a book. Then we try to know more about the book from reviews or by going through author background or publishers background. First step is a relatively new name in publishing and I couldn't find any info about the author. I got a chance to review this book and grabbed it with both hands. Who doesn't want to read a good book ? The acknowledgement is the only part of the book which you could read without making an effort. The book is filled with grammatical mistakes and editing errors. In some places even the usage of words are totally wrong. Though I don't want to be a hard on the book but it needed minimum 2-3 edits. I don't have any problem with people who choose simple words to convey their message but the least I expect is proper sentences to be framed. The story is also not something which could bind the reader. 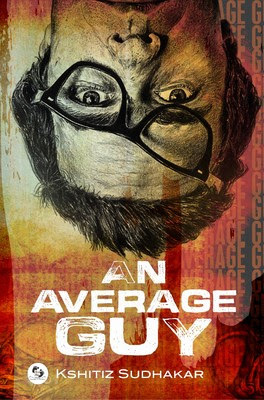 The story is hardly about an average guy, it is about a guy who fails multiple times in life and lets down himself and his family many times. It is his journey from one failure to another. Just to give you a perspective the protagonist Neel fails in his seventh grade and then in his eighth grade and then fails to get first class in his tenth. The writing style to was really dull. A major turn off was skipping from one day to another without any proper reason. In some parts of the book we jumped from one day in the life of the protagonist to another and in some other part there was just simple narration. This is the very first line of the book which has multiple mistakes. Just another paragraph with so many mistakes that it becomes really hard to even read the story. Further, it spoils your mood. These quotes from page 21 and page 25 also has many mistakes but I have quoted them for another reason. In the whole book you will find numerous names being mentioned but hardly having any reference or link with the story. The characters are just thrown at you. In the end you understand you they hardly have any role to play and in most of the cases the names are just being mentioned once in the entire story. A lesson to the budding authors or anyone for that matter, please don't introduce a character with building a background of that character or introduce it if they have future reference. "She had better marks so she got a regular college, Gaurav joined city college and rest others were trying to pass the class 12th examination including me." The mistakes are there as usual but this quotation points to another problem in the writing. The author got confused between using first person or third person narration multiple times. The book is just 129 pages long so you can go through the entire book in one go. I am skipping the merits and demerits part for this review. Verdict - As I always say you need to be a good reader first then only you could be a good writer and this is one problem I have found in most of the new generation authors. I feel one should read few dozens classic novels. It will give them perspective if not anything else. Though any amount of learning is not enough but it is good pedigree. The book hardly has anything to offer to readers and story lacked depth. The writing has many flaws and there are innumerable grammatical mistakes and editing errors. The writer could have gone with a Hindi version of the book or whichever language he is comfortable with and then could have gone for a translation. I just try to be a good critic, if book will offer something good I will definitely write about it and if it doesn't then I will for sure I will write that too as my readers should get an honest feedback. Though one should buy the book to motivate the new author.